1. Run Remote Desktop Manager. 2. 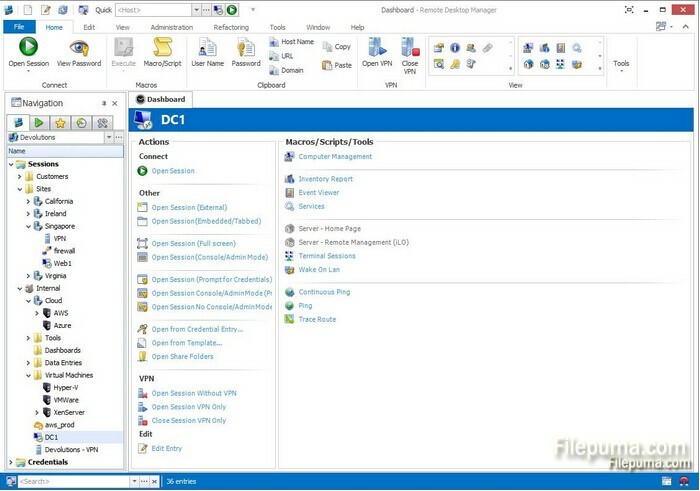 Right click “Sessions” and click “Add—-Add by Session Type—-Remote Connections.” Select your Remote Desktop Connection type from the list. 3. Type a name for the connection in the “Name” category. 5. Enter the IP address or network name of the system you are connecting to. And then type your username and password. 6. Review the configuration information relevant to your connection protocol and click “OK” to complete the configuration. 7. Now you can automatically connect with your specified configuration information.